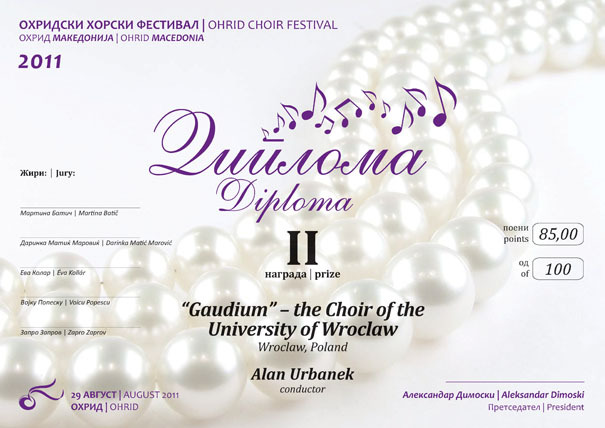 The Choir of the University of Wroclaw “Gaudium” has been active since 1983. It was formed mainly by the students of University of Wroclaw and of other Wroclaw’s academies. 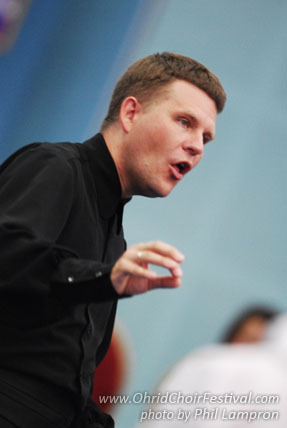 Since 1993 the choir's artistic manager has been professor Alan Urbanek. In the past, the choir was conducted by such outstanding conductors as Kurt Masur, Jerzy Maksymiuk, and Leon Botstein. It also cooperates with choirs of Jagiellonian University and University of Warsaw. In 2002 the Choir sang in a series of concerts dedicated to memory of victims of World Trade Center attack. 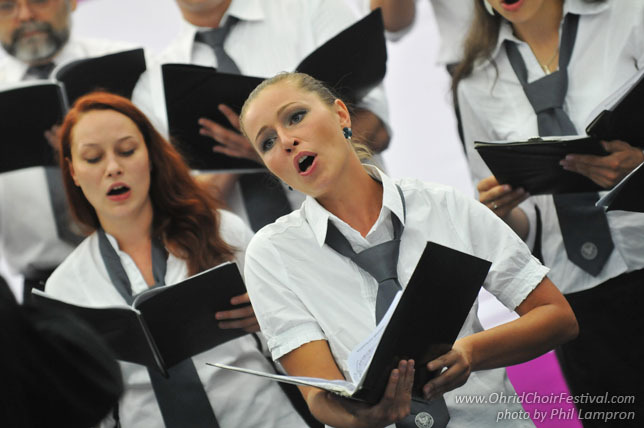 The choir has won many prestigious awards: Wrocław Music Award, first place at the International Choir Festival in Moscow, silver medal at the International Choral Competition in Athens, bronze diploma at the International Choral Competition in Budapest, and a special award at the International Festival of Orthodox Church Music in Hajnowka. Choir Gaudium has recorded CDs, inter alia, and concerts during the International Festival Wratislavia Cantans L. Van Beethoven's “Ninth Symphony”, Grechaninov's “Liturgia Domestica”, G. Faure's “Requiem” (recording made during a concert in Charlotte, USA). It has performed in Austria, Finland, France, Germany, Greece, Hungary, Italy, Lithuania, Russia, and USA.